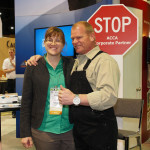 When quality contractors are your customers, there’s only one place to find them: ACCA! ACCA’s exclusive relationship with leading contractors is your portal to this vital market. ACCA works closely with leading manufacturers, suppliers, and other service providers, because we know that these companies can help contractors meet their goals. Make no mistake: ACCA works for contractors. Which is why you should be working with ACCA. IE3‘s properties include the dynamic and fast-paced IE3 Magazine, read byreal decision-makers nationwide, and a growing array of digital opportunities unlike anything else in this industry. IE3 has been built from the ground up as a multi-channel mobile content machine, not just a “magazine” being shoehorned into a website. IE3 works where contractors work, in the field as well as behind the desk! 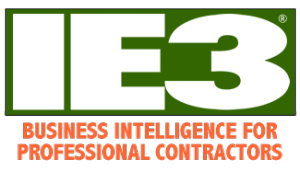 Which means IE3 also offers a unique opportunity for suppliers and manufacturers to engage with the actual decision-making owners and managers at thousands of America’s best, most influential contracting firms — across a wide variety of channels. Download IE3’s 2018 media kit for more information. Discover why the world’s top HVACR suppliers can be found supporting IE3, and why you should be, too. In addition to its annual conference and expo, ACCA sponsors other highly successful events aimed at important decision-makers in the industry. A select number of sponsorship and exhibit opportunities are available at these meetings. For example, at the Service Leadership Forum, hundreds of contracting service managers gather at the only forum dedicated to helping them grow as leaders … and make no mistake — these are the people who make decisions about product and service purchases every day! At Next Level is here to help the next generation of your business succeed. Attendees will learn to build the business and personal skills they need to excel at their jobs through professional development sessions and networking opportunities. Space is very limited, and these opportunities always sell out. Contact sales@acca.org for more information. The ACCA Corporate Partner Program is the top-of-the-line program for manufacturers, suppliers and other service providers who wish to demonstrate their commitment to quality contracting while receiving extensive marketing benefits. Corporate Partners receive access to an wide variety of marketing opportunities, including advertising, expo and sponsorships that are included with the program at a substantial discount over the regular price. However, Corporate Partners also receive access to several opportunities that are not even available outside the program. There is no better way to make your company “top of mind” among America’s contractors than to be an ACCA Corporate Partner. For more information, contact partners@acca.org. Each year, the ACCA Conference brings together top contractors from all over the country into one place, and you get to join us! 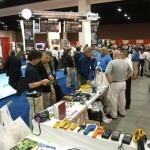 No other industry event draws such a high caliber of decision-makers from contractors. The ACCA Conference is the place where you are guaranteed to have conversations with owners and top managers from the nation’s best contracting businesses. We offer several opportunities at the ACCA Conference for you to expand your brand’s reach and make further inroads into the contracting community. You can’t succeed unless contractors succeed. So, go where the successful contractors are, and join us!. Access to ACCA’s member resources, including video on demand, downloads, and member-only content. Know what’s happening in your customer's industry — so you can better meet their needs. 10% discount on select ACCA products when ordering online (individual or small order purchases). Big discounts on sponsorship, event attendance, and other advertising opportunities. ACCA offers organizational membership. The membership applies to the company, not the individual employee. ACCA membership is location-based. Your membership applies to one location; additional corporate locations are not considered members unless they are enrolled individually.